If you’re an artist/designer and want to help the gulf coast recover, this project is for you. summit your poster, and it could be be featured and sold online with all of the proceeds going to gulf aid acadiana to help gulf coast fishermen affected by the oil spill. 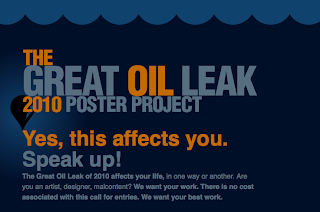 find out more about the great oil leak 2010 poster project here.